HOW CAN AN OPTOMETRIST HELP YOU? A question that has been popping up a lot more recently due to the more informed public this age. Well fret not, in this post I’m going to talk about how can an optometrist help you. An optometrist is a health care professional that are trained to handle ocular diseases and binocular anomalies on top of what the optician does which is refraction, lens edging and dispensing. We are also trained in specialty lens fittings such as rigid gas permeable (RGP) lenses, Rose-K and Ortho-K lenses. In short, we are the primary care practitioners who are responsible to detect and solve problems with the eyes with ophthalmic lenses and contact lenses, and referrals to ophthalmologists on an indication of a disease that may need medical intervention. What should you look for from an optometrist? We are trained in many different refraction techniques to deal with different types of eyes, to ensure that we get an accurate refraction results every time. In our kit, we have a Retinoscope and an Opthalmoscope. The retinoscope would be the tool that we use to determine the person’s power, although these days we prefer to use an autorefractor which is the scanner that scans your power before we bring you guys into the refraction room due to its speed, but when there is an indication to use it, such as when we notice that the astigmatism is too high, with the scope we can actually determine if the person would have keratoconus. In some more serious cases of cataracts, we can detect using the retinoscope as well. The opthalmoscope is basically a magnifying glass to look in to the eye to check the retina. Usually the optometrist would turn off the lights and tell you to look at a specific direction. After that we would get close with the opthalmoscope to check the clarity of the ocular media, at this point we can determine if a person has cataract or not. After that we focus on the retina, the things that we would check for would be the ratio between the blood vessels, hemorrhages, leakages and also the optic nerve head. With that we can determine if he person’s blood pressure is well controlled, if their diabetic status has worsened and also the possibility of glaucoma. When you are having pink eye, we would use a slit lamp, which is a microscope, to check the surface of your eye, and the inner eye to determine the cause of the red eye. Which could be caused by bacterial infections, viral infections, allergies and foreign objects. Kids under the age of 6 are also more than welcome to be screened so that they do not develop lazy eye. Lazy eye causes a permanent loss of visual acuity when it is not managed early on, so it is prudent for us to check for the signs and symptoms before it is too late. 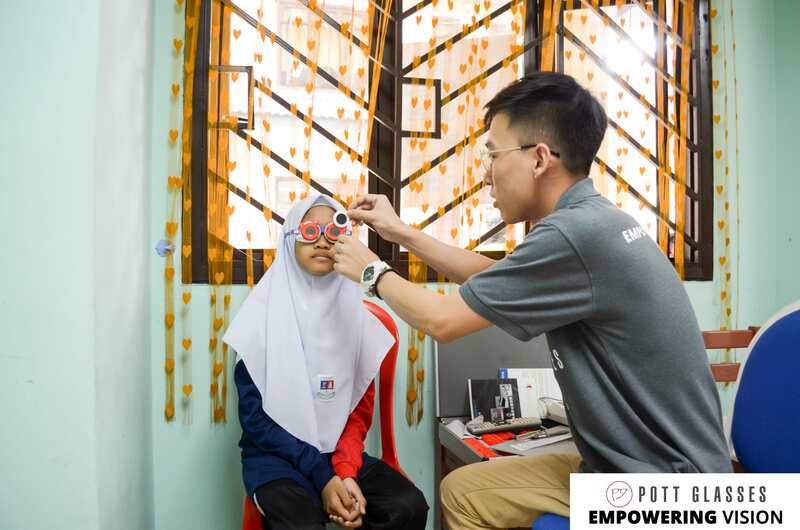 We can also manage kids with squint eyes (mata sepet), with specialty prism lenses so that they don’t later develop into lazy eyes as well. And in some cases prescribe in office training to help the kids train their eye muscles so that they align and look normal again. With all the technicalities aside, optometrists can also deduce the condition of your eyes through questions. In our book, there is a word of advice saying that 70% of the time, the patient would tell you their diagnosis. Its just that the patients are not aware of their conditions, so we are also there to inform and educate. When should you see an optometrist? Anytime when you feel like your vision is not as good as it should be, eyestrains, headaches after long hours of work, persistent itching in the eyes, mucus discharge in the eyes, the list goes on. In a nutshell, optometrists are equipped with the skills and knowledge to help you with more than just your vision, but also your health and lifestyle. Book an eye check with optometrist today! 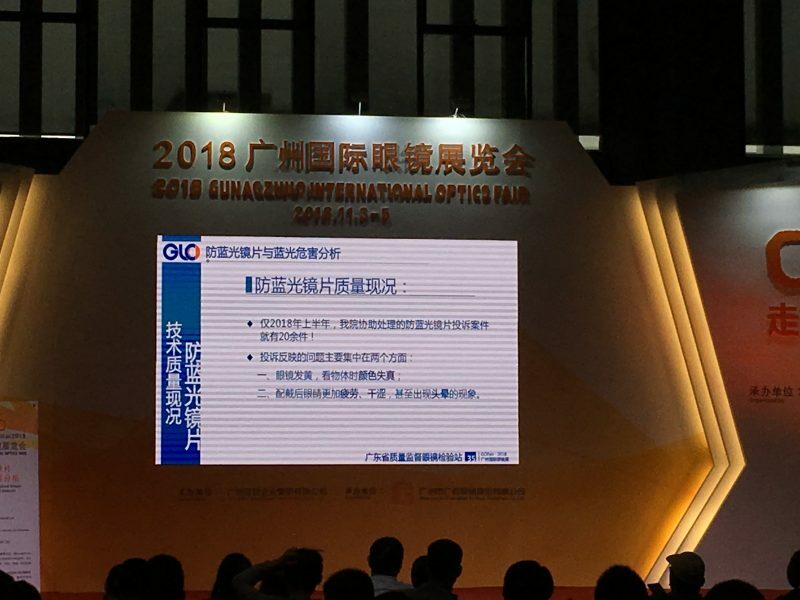 The 2018 Guangzhou Optical Fair took place from 3rd November to 5th November. We’re honoured to receive invitation from the organiser to visit the fair. We’d like to thank them for taking care of our transportation and accommodation. It was indeed an eye opening event. We thought it’d be interesting to share with you some of the highlights of the exhibition. After all, it’s always good to know the manufacturing side of glasses and what’s the latest tech in optical industry. As consumer, the more you know, you become more aware when it comes to buying glasses. Many think that eyewear frame is made of “plastic”. It’s actually not the case. To be fair, frames are made of few materials i.e ultem, TR, stainless steel, specialised alloy, aluminium and acetate. Different material has unique characteristics. Some are sturdy, some are ultralight while some are flexible. The material that we’d like to cover here is called acetate. It’s basically a cellulose based material that is allergic free. That is why many eyewear brands love this. In the photo below, you see how acetate supplier display the material to ease us in selecting the material for our eyewear frame. You can see the beauty of acetate lies in its unique fine pattern and vibrant color. Since it’s made of melted cellulose, the color and pattern will stay and do not fade easily. Even after years of wearing, the frame requires minor polishing to restore its beauty. Computer lens, also known as anti blue light lens has gained popularity these few years. From the first version which is extremely yellow to what we have today, mild yellowish based, we can see that the demand plays an important role in pushing the innovation forward. In the exhibition, we see multiple lens manufacturers come out with latest anti blue light lens, some with no blue refection, while some can cut blue light higher than the usual range. We sat in a talk on this topic. The talk is about the data and research gathered over the years from consumers on the effect of wearing anti blue light lens. One of the more important slide is what you see here. Basically it shows that although computer lens claim to protect the eyes, wearers feel even more tired after wearing. Besides, due to the yellowish based, the object lose its natural color. To get the best effect of anti blue light lens, the speaker shared 3 points. There are many ways of many prescription lens. This one is quite interesting to us because we witnessed the process of making a prescription lens from scratch in less than 15 mins. Step 1 : inject liquid into the mould. 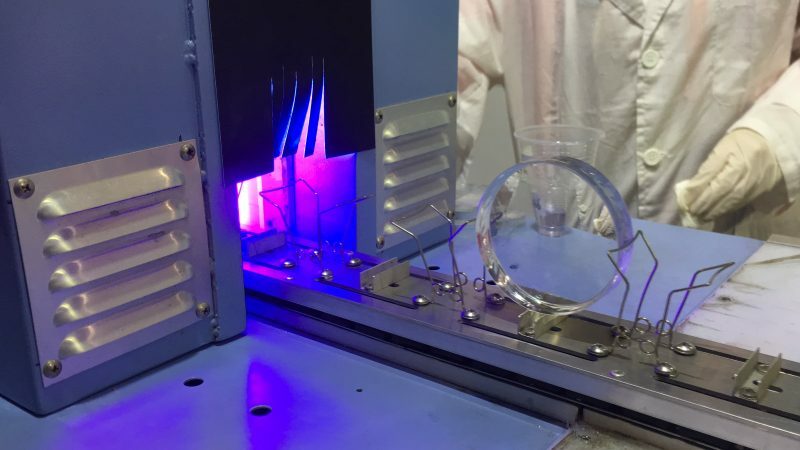 Step 2 : place the mould filled with liquid on a conveyor belt and pass through a UV light. It gets hardened here. Step 3 : Dry it with multiple fans, and the process is complete! It’s actually not as simple because there are lots of calculation before hand to calculate the curvature and abbreviation. It also requires precision in the process. Nonetheless, it’s really satisfying to watch. Ever wonder how the frames are made? Here are some sneak peek. What we see here are a lot of polishing work. This for instance is polishing the nosepad. We did not manage to capture clear video because some equipments are too high and huge to capture the entire process. Let us know if you want to know more, we’re happy to share. Exhibition like this provides a lot of insights to us. We see what latest trend is and what latest technologies are there. 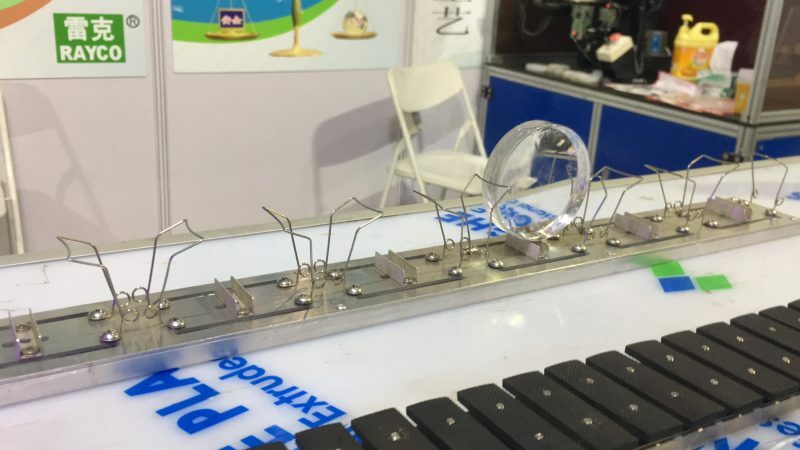 Knowing all these help us to be more aware of what’s happening in optical industry and also know what are the best thing we can provide to our customers. 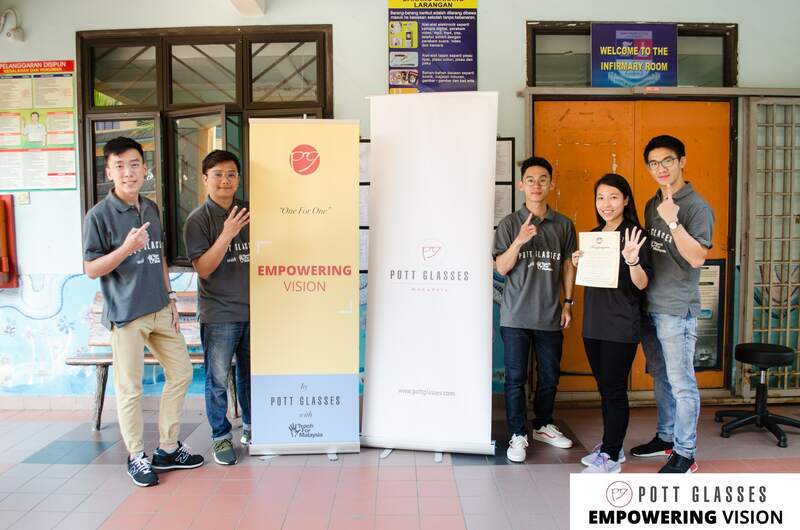 Hartamas Optical Shop – Pott Glasses 4th Outlet! Hey guys, we are coming to Desa Sri Hartamas! And we are super excited about this! If you have not heard about us, here’s a brief introduction about us. 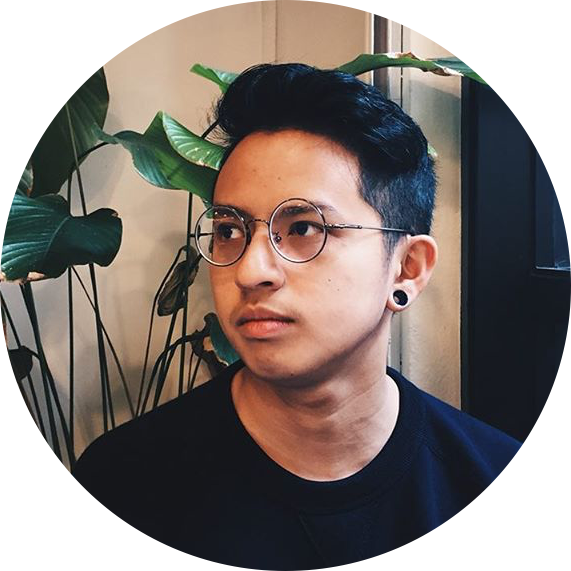 Pott Glasses is an local eyewear brand founded by two young guys who are passionate about eye glasses. 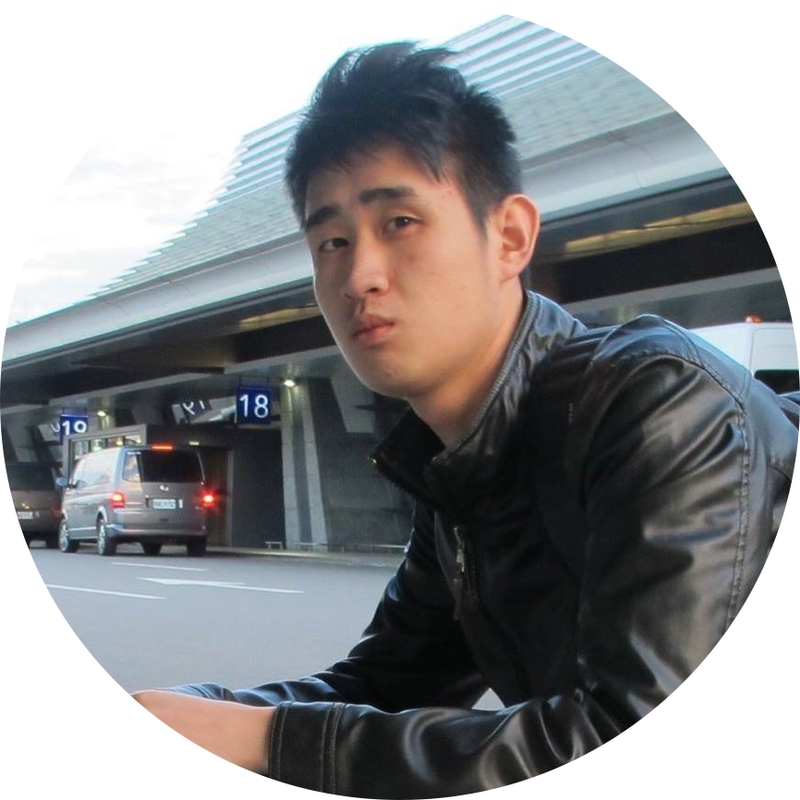 Hau, one of the co-founders believes that everyone can look good in glasses, and even more presentable in glasses. He believes that wearing glasses can help to portray a clean and smart image of oneself. 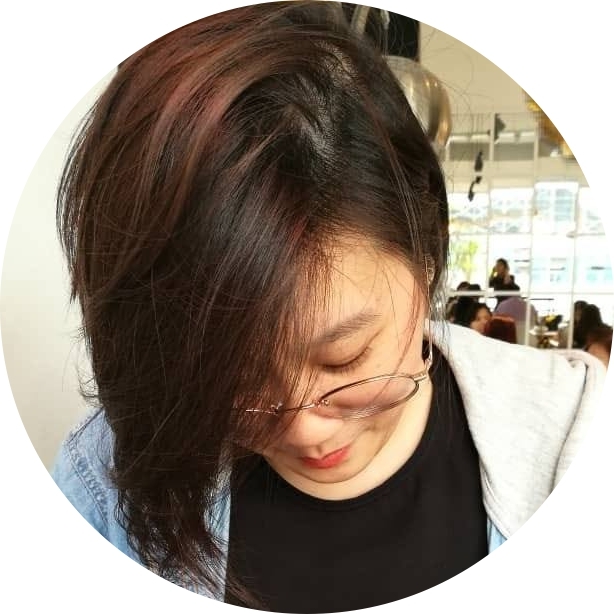 Hoong, a senior optician and also the other co-founder is very particular when it comes to performing eye check and dispensing glasses. 9 years in the optical industry teaches him the importance of performing eye test based on wearer’s lifestyles and focus on solving problems. Most of our eye glasses are of Asian fit, meaning to say they are designed to fit well on Asian’s complexion. We want our customers to feel comfortable wearing our glasses and be confident wearing them. 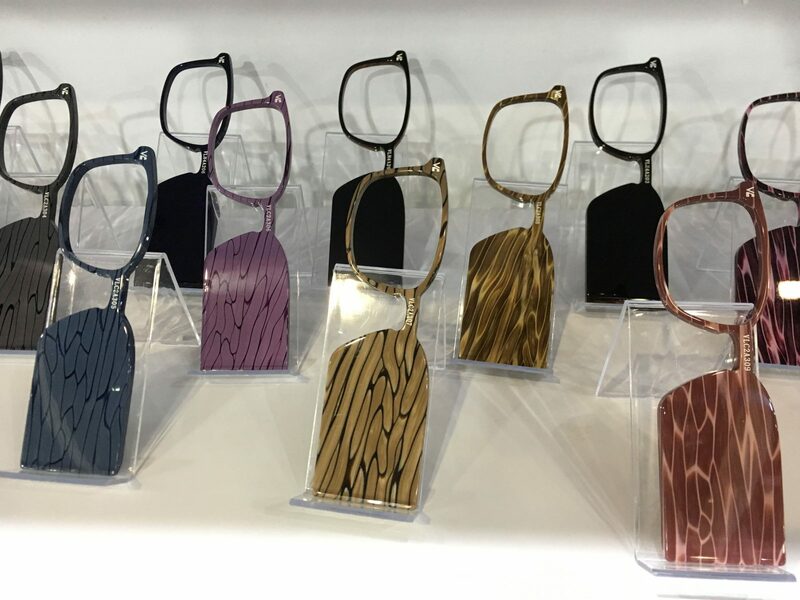 We often look for latest trend and inspiration so that we are well updated and equipped with knowledge on how to help customer to choose the right pair of glasses. Apart from thorough eye check and optical styling, we also want to provide a peace of mind to all our customers when they buy our products. We have a 14 day “prescription guaranteed” policy where customers get to try out the prescription glasses for 14 days and should there be any issue, we will re do the eye check if necessary and remake a new pair, just to ensure that customers are satisfied with the new glasses. On top of all these services and stylish glasses, we also give back to society. 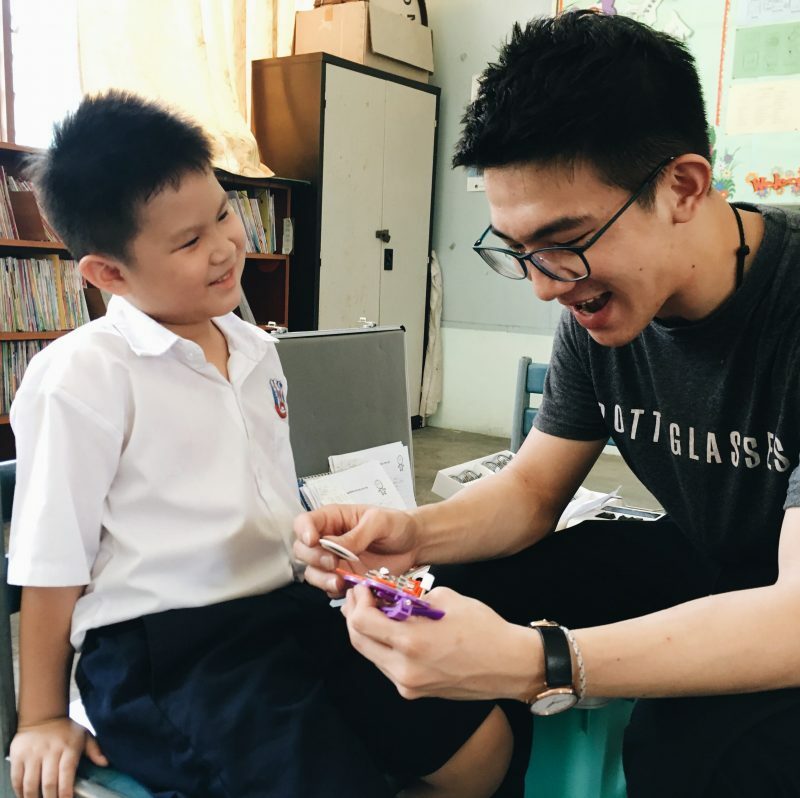 For every pair of glasses sold, we donate a pair to the underprivileged community. We go to the rural schools to perform eye check for the students individually, obtain the prescription that suit them, and prescribe the glasses for them. We believe that clear vision is vital in a child learning journey, thus if glasses is needed, they should have it. To date, we have donated 1556 pairs of glasses. Our upcoming campaign is called “Back To School” where we want to help 100 students to get glasses in January 2019 so that they get to enjoy the learning throughout the year. 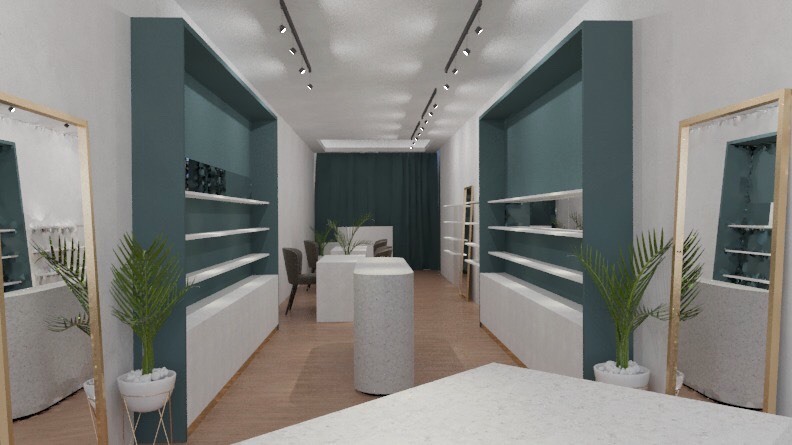 Our Desa Sri Hartamas optical shop will be opening in December 2018, ready to serve the community! Can I just say that Pott Glasses have officially raised the bar with optometry customer service. Old timers ought to learn a thing or two from these guys. My vision may not be 20/20 but third customer care sure is. Very satisfied with their service and professionalism. I bought a spec from them, however I accidentally broke the nosepad. Went back to the shop, their friendly assistant, replaced my nosepad without any charges. Would highly recommend for those who wants to get high quality specs with an affordable price. 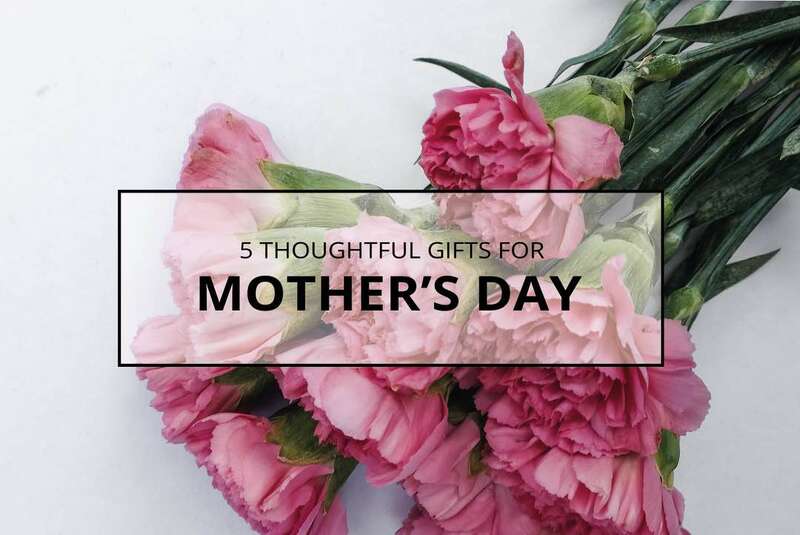 Mother’s Day Gift : 5 thoughtful gifts that will make her happy! She has been your unwavering cheerleader and the biggest supporter throughout your whole life. She was there by your side when everyone turn their back to you. She gave her all for the best of you and she is no one else except, your one and only Mum. This upcoming Mother’s Day, give her something that shows how much you appreciate her and everything she stands for. Figure out something to help ease all those muscle stiffness! Being a Mum means that you are working 24 hours a day, 7 day a week; no vacation at all! Nobody can imagine how much that small body is enduring all these while. Hence, present your mum with a whole day off from all those restless housework and instead a relaxing spa treatment. See how much she’s enjoying all those pampering, especially when it is Mother’s Day! Change the role; let the Mums all pampered at the spa, and you siblings instead clean up the house. Almost all parents do enjoy having their me-time, to enjoy the quiet time by their own selves. Reading at their age is among the relaxing things that they sure enjoy to do, but as they age, the presbyopia is also slowly affecting them. With their vision getting blurry, struggling to read is just too much for them. Glasses is just the perfect things as a gift, since you surely don’t want them to ignore your text as they can’t read it, right? 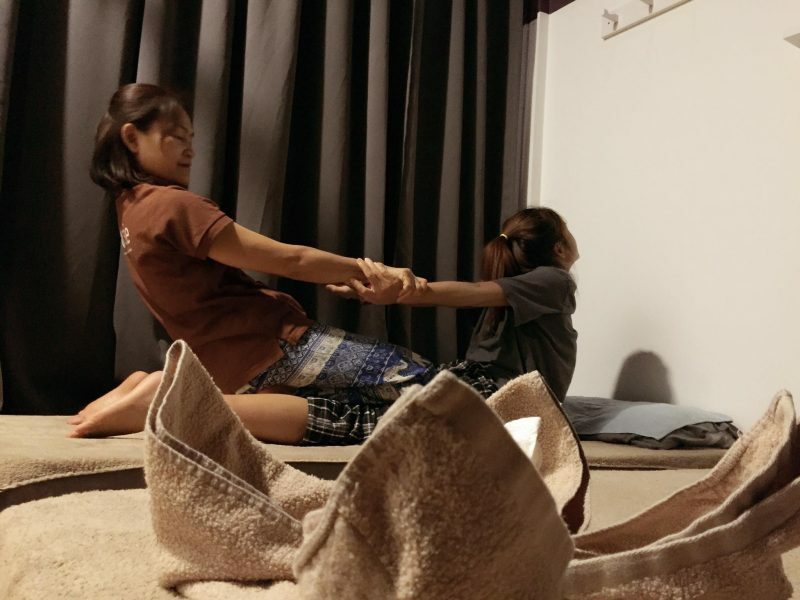 What’s better than making sure your beloved mama is in her pink of health, or maybe putting a swift halt to any health problem at its early stage? This year Mother’s Day how about getting your mum a thorough body check-up package as early prevention is the best of any cure. High in active protein, birdnest is one really nutritious dessert for your mum. Packed in small bottles, the birdnest is easy to carry and consumed. Yan’s Society is also having Mother’s Day promotion. Time to get something sweet for mama! Woman loves this, regardless of age. Not only that it makes mama feels like queen to have someone to serve her, the manicure and pedicure also have anti aging effect. 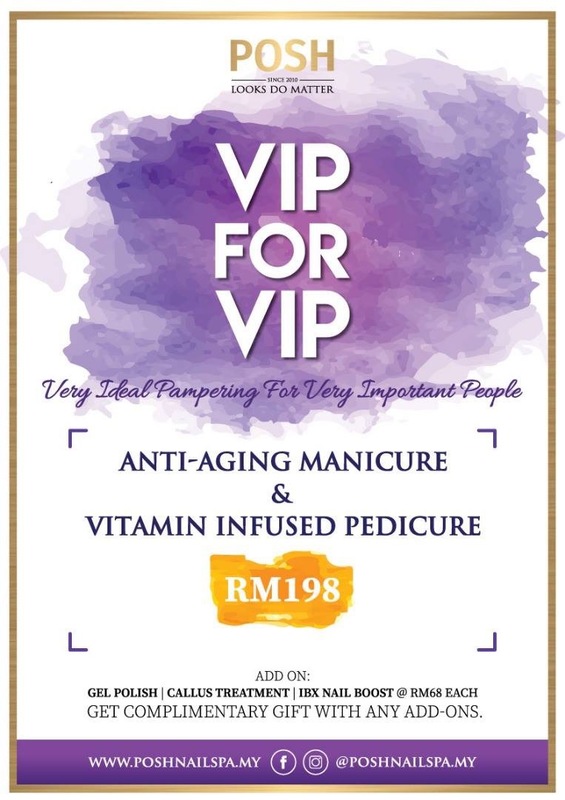 Mama has been working hard to raise us up, why not pamper her with this service. Check out what Posh! has to offer. Presenting her those thoughtful gifts surely meant a world to her, showing that how much you care and conscious enough with all of her workload all these while. So grab your chance now to prove your love to her. Happy Mother’s Day to all those brave and tough mothers out there! We are also running a promotion on mother’s day! That’s 20% discount for all mothers, and additional 10% discount if it’s a gift to your mother! So bring them to our outlets for eye test! 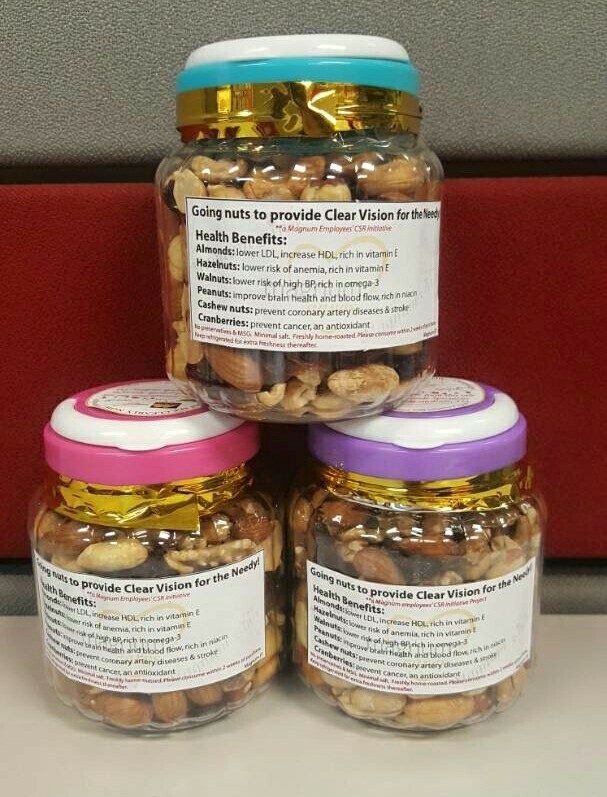 What other better gift than having a great vision! It’s 4pm on a slow Sunday when I received a message to inquire about glasses donation. That’s how we got started to work together on the eye care program for underprivileged schools. The program is called “I Can See Clearly Now” Project, a Magnum staff-initiated project. 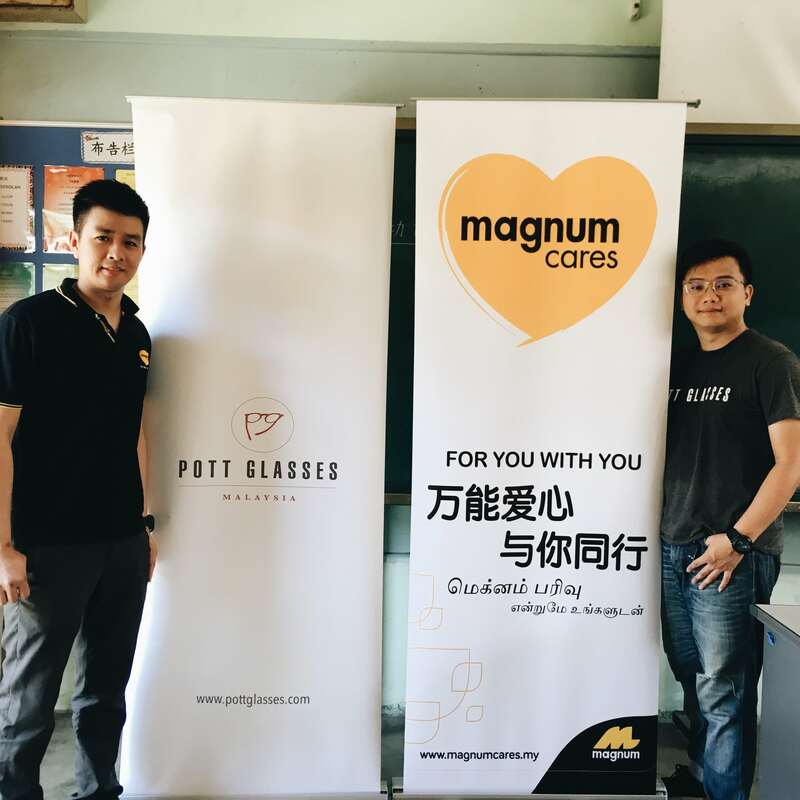 The team we engaged with is called Magnum 3-in-1, lead by Mr Cheng from the I.T department. 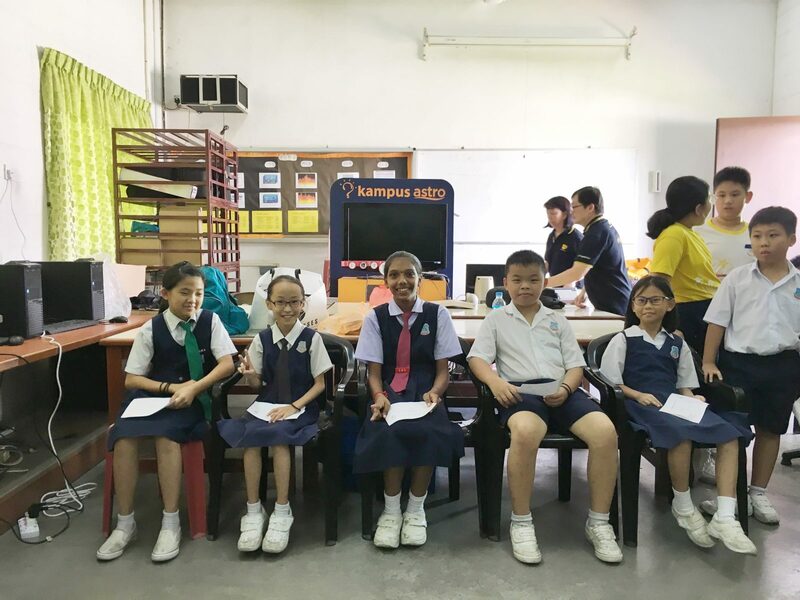 There are four schools altogether to join the program namely SJKC Pui Chi, SJK(C) Tanjong Karang, SJK(C) Pui Teh and SK Methodist Port Klang. Cheng and Team would first research on the schools that need the support. Upon getting the schools on board, they would come up with creative idea to raise fund to support the program. Some of the activities they did include selling freshly roasted almonds, cashews, peanuts, walnuts, hazelnuts and cranberries. Fast forward to 30th March where we carried our first program. We arrived at SJKC Pui Chi at 8:30am. After having a quick breakfast, we started to do eye check for the primary school students. I have to say that they are so charming that they remind us a lot about our younger days. We had done a lot of eye care program and glasses donation to various school, but this was the first Chinese vernacular school to have this program by us. It’s definitely reminiscing to visit the school to most of us as we studied in SJKC before. After we had completed doing screening for 60 over students, we went to SJKC Pui Teh which is 15 mins drive away. 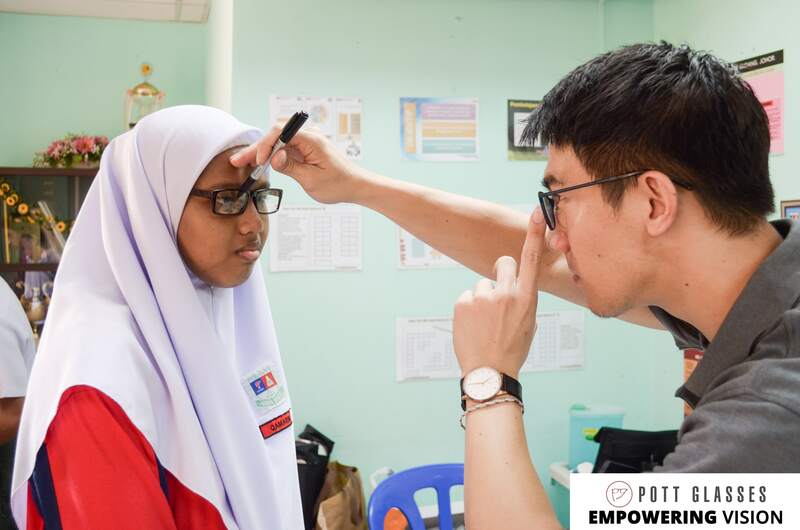 As we had gained momentum from the previous screening, we took even shorter time to perform eye test to another 40 students. We were able to complete all the eye test without causing much interruption to schools. 2 weeks later, we ent to SK Methodist at Port Klang. This possessed huge challenge as we needed to do screening for over 900 students. Thankfully with the help from Cheng and Team, we were able to cover more than half on the first day. By 3pm the next day, we were able to complete the eye test. When we first started the glasses donation program, we have never thought that it’d lead to where we are today. We’ve never imagined that other organisations would recognise our effort in helping the society and even wanted to work together with us. The fact that we have been helping more than 1000 underprivileged ones is definitely very fulfilling and rewarding! We look forward to more glasses donation and eye care program this year! For more information about the program, you can look up this link. If you’d like to join the program, feel free to drop us an email at ask@pottglasses.com. It’s been close to 6 months since I first joined Pott Glasses. I find that the company is very different from other optical shops, be it the culture, the directions or the things that we do here. I was very excited to finally be able to join the team to run the flagship One for One donation campaign, whereby for every pair of glasses sold, we will donate another pair to underprivileged people. 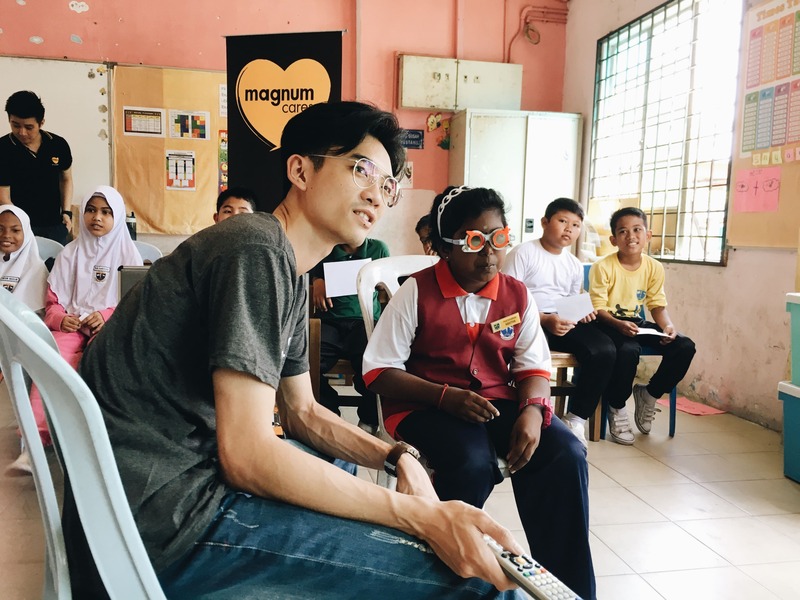 This time round, collaborating with Teach For Malaysia, we held the glasses donation campaign in SMK Pasir Putih. 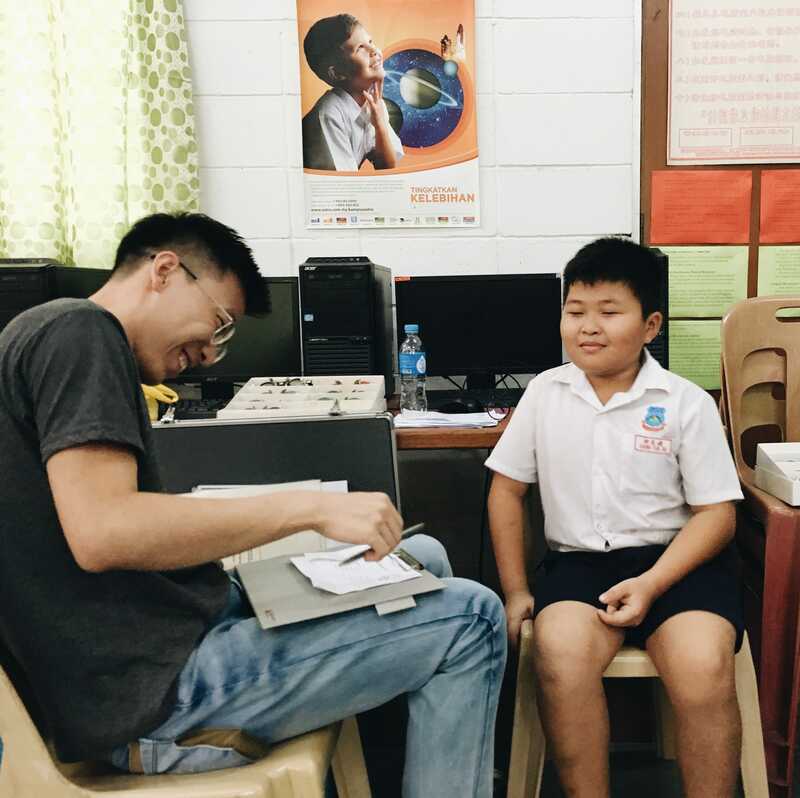 We wanted to help students with vision problem, pairticularly those who need vision correction. Since it’s my first time joining the donation drive, I had no clue on what to pack and how to arrange the logistic. I realised that it is never been easier to carry out a donation campaign as there are many things that we should consider, focus and manage about. The commitment from each of us is the most important element to make sure the entire program to be on track. We headed down to Pasir Gudang at night and had proper rest at a budget hotel. The next day, we reached at 9:30am and started the work non stop all the way to 5pm. Everything was so new to me. I learned how to set up mobile eye test, how to arrange crowd, and how to manage the flow. One thing really struck me was how poor the students’ visions are and worse still, they couldn’t afford to buy themselves glasses. In between, we found that were around 50 students with eye power of the medium high range, that is roughly between -3.00 to -4.00. How bad is this power without glasses? It means anything more than 3 meters are pretty blur. I couldn’t help but feel empathy towards the students. Vision like this without glasses does not only affect their learning, it also posses big impact to their life as well. Imagine going through daily activities withou a clear vision. I am really glad that we did the campaign. It was exhausting but definitely worth it. During the journey back to KL, I started to reflect a lot on myself. Sometimes we are really lucky to have comfortable life. I still remember when I first experienced blurry vision, I was brought to the spectacle shop to have my eyes checked and gotten my glasses. I have never thought that there are people out there who never get a chance to wear glasses even their visions are bad. I think we should be really more active in running the glasses donation campaigns to help as many people as possible. We know the importance of perks and benefit to employee. It gives sense of security to employees when they know that their health care are covered and this helps in employee retention. Perks and benefits if given right can increase employees productivity. There are many types of employee benefit i.e. insurance, dental, disability etc. 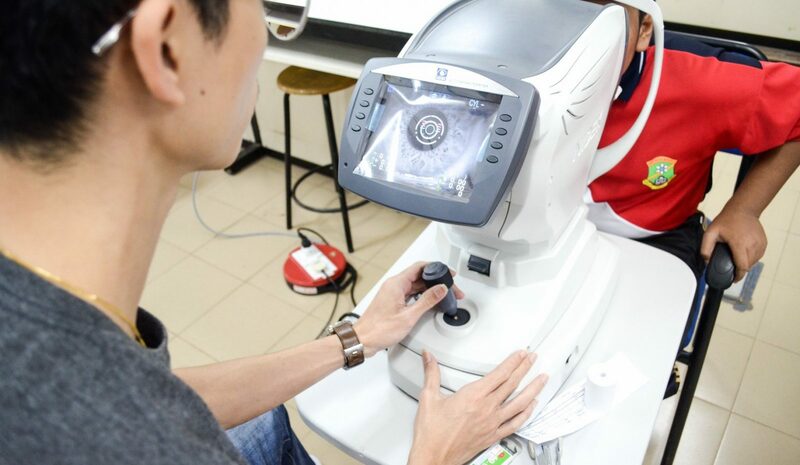 One that we would like to discuss about is the optical benefit in Malaysia. There is no exact benchmark to define optical benefit. 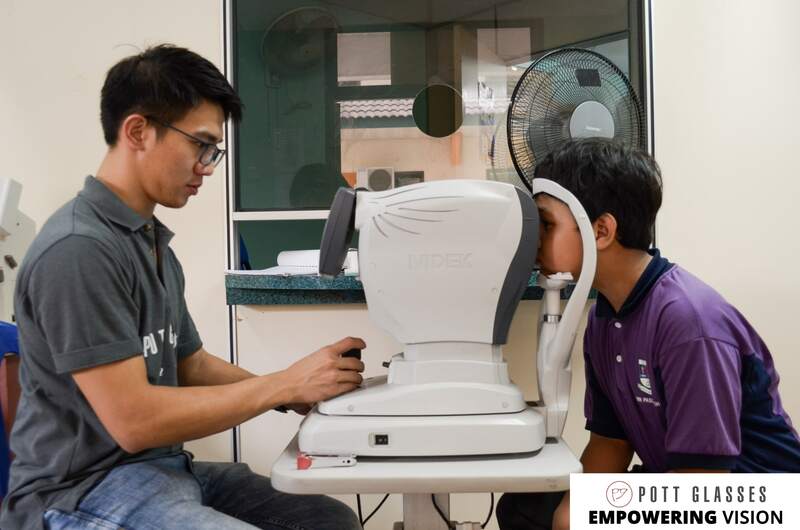 However, what it covers is a subsidy for annual eye examination and partial or fully payment for prescription glasses by the employer to the employees. It’s important to note that merely stating the benefit without proper execution cannot maximise its potential. After all the objective of the initiative is to give the best the company can to the employees. How employer can further maximise the good of optical benefit? 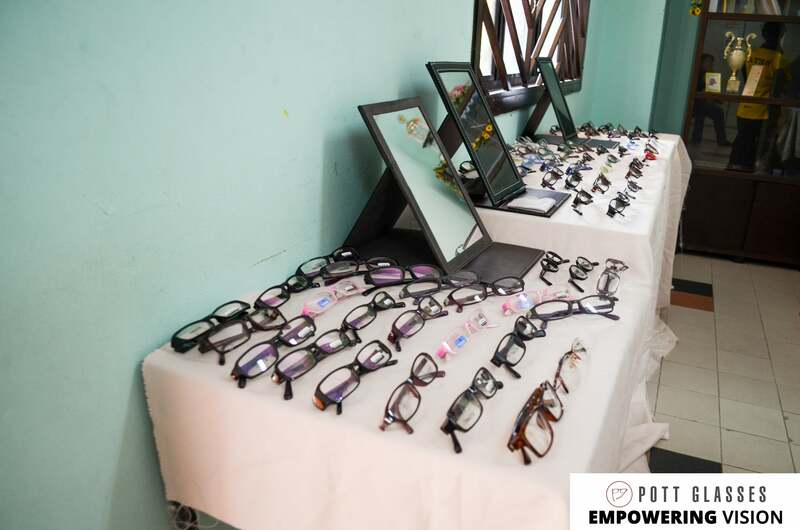 As Pott Glasses is a company that focuses on providing corporate eye care service, we notice that there are few areas that can be improvised in providing optical benefit in order to get the best of optical benefit. Instead of purely giving optical benefit the traditional method i.e. claim for new glasses, we find that a holistic eye care service will be more meaningful. Eye care talk will be helpful to raise eye care awareness and sharing about eye exercise on how to relief eye fatigue. These are useful tips that can be practised on daily basis to help to ease the eyes. A holistic eye care service helps one to be more aware of eye health level instead of just getting new glasses and forget about importance of care for the eyes. Rather than just doing eye prescription check, dry eye test will be really helpful especially for the ladies who wear contact lens for long hour. Another eye test is IOP test to test eye pressure. This is useful for elder employees to check for sign and of glaucoma. Many may not be aware of the perks that are provided by the company. This could be due to unappealing way of presenting the perks. So be it optical benefit or healthcare benefit, we suggest presenting these info in visual and infographic form. Besides, optical claim process should be hassle free and remuneration should be fast. By reducing the friction in the claiming process, employees will be much happier to enjoy the benefit. Different employee may need different eye care or glasses. Through understanding the demographic of company employees, tailored eye care service will be able to cater to individual’s needs. 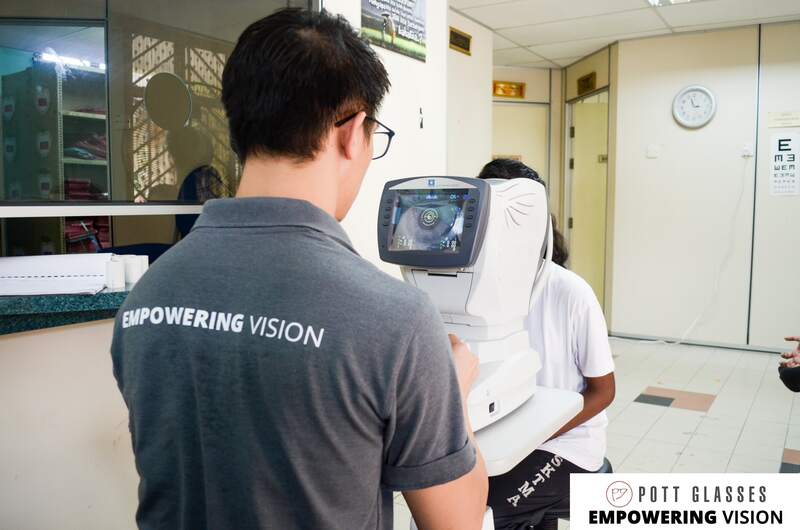 In addition, one-to-one consultation by eye care professional for the employees enable them to get the eye care that fit them best. Ultimately, it will be great to get exclusive discount for employees. It is definitely a win-win situation to the employees and the company. Since the company has already set a budget for optical benefit, why not make sure that the employees get the best our of the spending. Besides, the employees get to buy something much cheaper than the market without compromising the quality. In the end of the day, communication between management and employees is important. Management should review the benefit frequently to make sure that the employees are contended with the benefit given. Changes should be made as and when it is needed. Here in Pott Glasses we are actively serving corporate clients i.e. 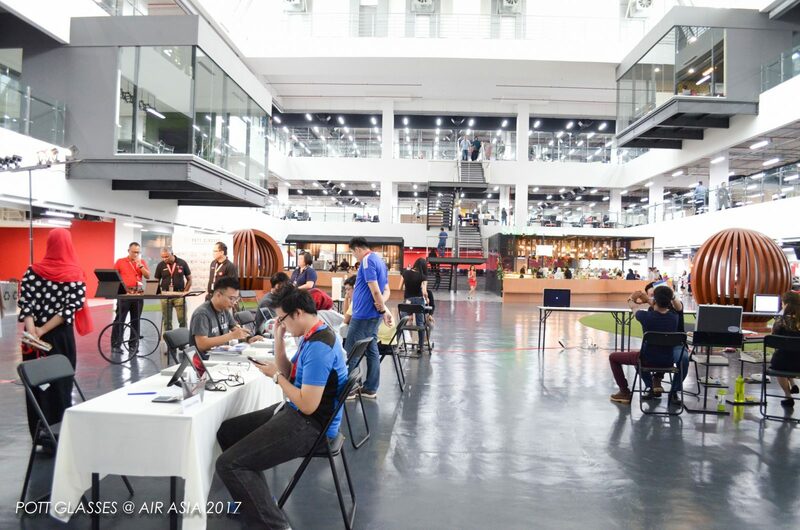 Digi, Air Asia, Garena and more. We provide services such as primary eye care, prescription check, color blind test, eye care talk and corporate rate. To find out more about our corporate service, kindly drop us an email at ask@pottglasses.com. How thick will the glasses be? Lens thickness is always an unknown! OMG! My glasses is thicker than Subway cookie!! Look at that thick glasses! His power must be very high! If your prescription is higher than -3.00, you must have heard of or experience the above scenario. Who’d want the glasses to be thick when it can actually be thinner?! 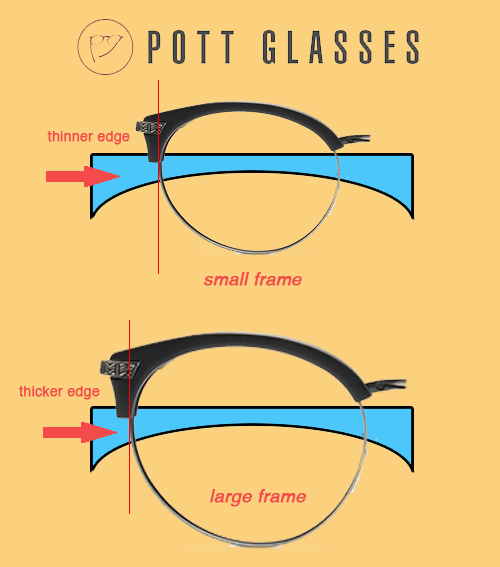 But the problem is how well do you know about glasses/lens thickness? If you do not know anything about the thickness, how are you going to expect the end result? We understand your pain, that is why this article is here to help you to understand more about lens thickness and make better decision in buying glasses. what thickness should you choose for your prescription? If your power is around -2.00, choose 1.56 index, lens and frame together is RM 295. If your power is around -4.00, choose 1.61 index, lens and frame together is RM 395. If your power is around -6.00, choose 1.67 index, lens and frame together is RM 525. If your power is more than that, choose thinnest lens, 1.74 index, thats RM 725. If you want to find out how much the glasses cost with different type of lens, click the link in the button. If you are interested to understand more about lens thickness, how is it being affected by other factors, continue with the reading. You will be an expert by the time you finish reading it! Have you wondered what determine the lens thickness? Why does optician recommend you to use thin lens? Is that necessary? How do you make a better choice? In this article, we will dive deeper to discuss everything about lens thickness. Let’s start with the question “what is thin lens?”. To understand this, you should know that lens thickness is generally categorized into 4 groups, or we normally call it “index” ie 1.56, 1.61, 1.67 and 1.74. The higher the index, the thinner the lens is. This is easy to understand. For the same index, the higher the prescription, the thicker the lens is. Pupillary distance is the distance between two pupil centers. The idea is to align the optical center to the pupillary center so that we can minimize distortion and optimize the vision. The wider the pupillary distance, the lens will be thinner. The calculation can be a bit tedious but do remember the relationship between pupillary distance and lens thickness. 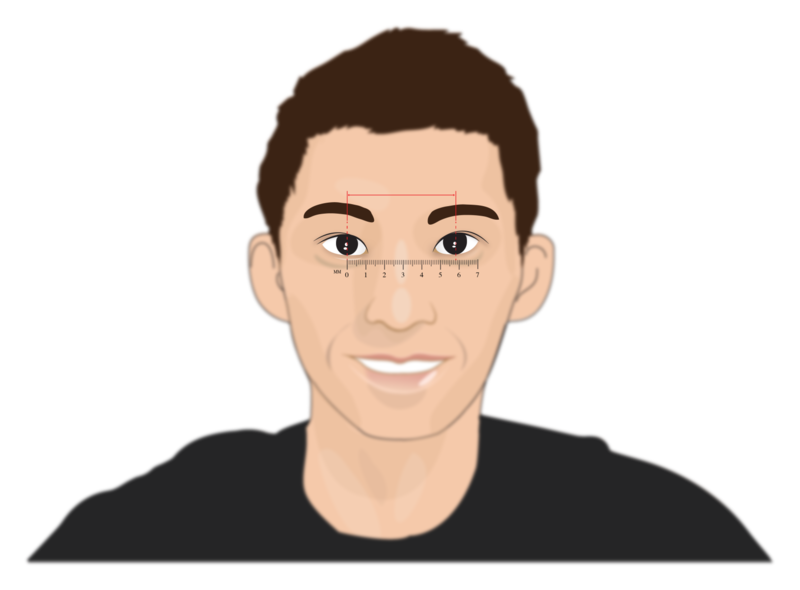 Pupillary distance is an absolute measurement which intrinsically depends on wearer’s face size and eye. There is no good or bad effect associated with the pupillary distance. Since the lens thickness increases exponentially, as the frame size gets larger, it will utilize the side of the lens, which is also the thicker part. Therefore, for the same prescription and lens index, the larger the frame, the thicker the lens will turn to. 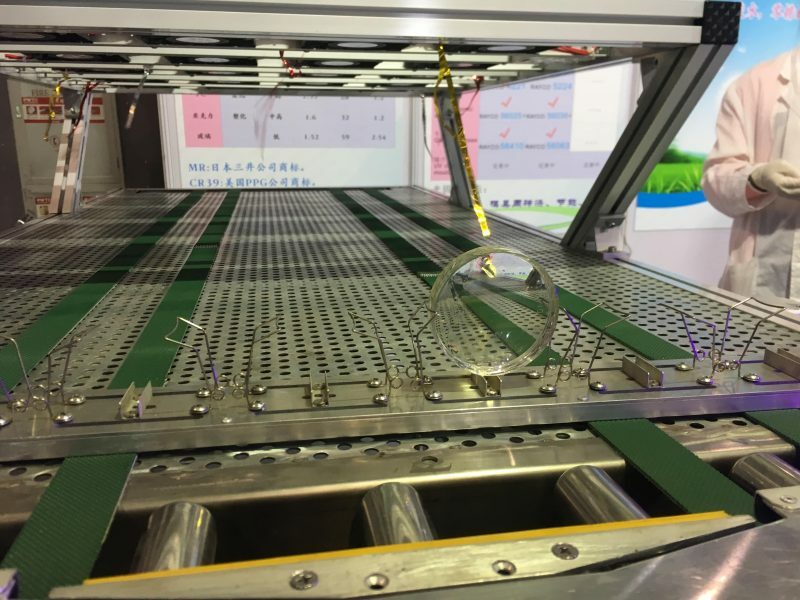 There are many advantages for choosing thinner lens. You wouldn’t want your friends to make fun of your prescription nor letting others know your high prescription. Most people associate thick lens with high power. Therefore, choosing thinner lens can easily hide your prescription. Thin frame is the latest trend nowadays. It looks clean, simple and easily pulled off by just anyone. You wouldn’t want to match it with thick lens, don’t you? That will definitely defeat the purpose of getting a thin frame. Glasses rest on the nose. Thicker lens is generally heavier. You wouldn’t want a pair of heavy glasses sit on your nose the entire day and leave red mark. Besides, heavier lens can cause the glasses to slip down easily. You’d need to keep pushing it up. This very action can be pretty annoying. By now you must have had a better understanding about lens thickness. It is no brainer to always go for the thinnest lens. However, thin lens can be pricey. Sometimes, you may not need to choose the thinnest lens if the benefit is not substantial. So, here’s a guide on how to choose lens with ideal thickness. 1.74 index is ideal for power less than -8.00. However, do take note that this does not take into consideration of astigmatism which can add extra thickness. Beyond -8.00, 1.74 index lens will look thick as well. 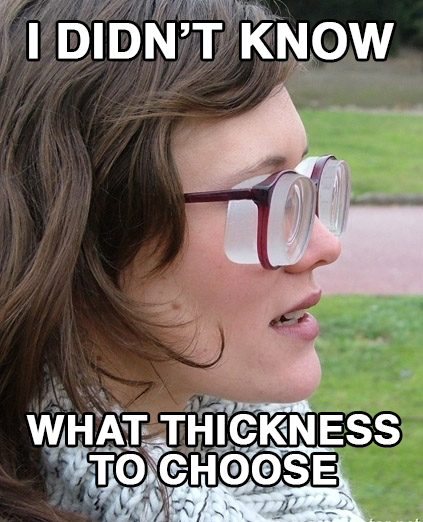 If you are very particular about thickness, you may want your optician to explain further on it. Like abovementioned, larger frame will result in thicker lens. As such, if your power is higher than -5.00, you may want to filter out the oversize frames. If your pupillary distance is wide, your lens will be more likely thinner than your friend whose pupillary distance is much narrower. If you are the one with narrow pupillary distance ie 54-60 mm, try not to choose large frame to save on money on buying thin lens. To conclude, this is a general guide about lens thickness. There are more measurements and factors to consider when it comes to choosing lens thickness. There are also lens index of 1.50, 1.53, 1.59, 1.70 and more. There are things like spherical and aspherical lens where aspherical lens is thinner than spherical for the same index. There is also different prescription availability for different lens index. When it comes to deciding the lens thickness, it’s best to know all the information shared here and discuss with your optician. If you’re looking for glasses recommendation, feel free to schedule an appointment with us. We will take into consideration of your lifestyle, prescription, preference and face shape to recommend the ideal one. Not to mention we also provide thorough eye test! Bring your friends and family along! Fill in the form here to get additional RM35 discount! Glasses help us see and protect our eyes, but they don’t always get the care they deserve. Although glasses don’t last forever, but with the right care, a pair of glasses can go a long way. Here we share 5 simple tips on how to take care of glasses. Don’t use your shirt to clean the lenses! Water and soap might not always be accessible. So what to do if there is a smudge on your glasses? Most of us are guilty of just grabbing whatever we can (from tissues to our shirt) for a quick wipe down, but that is actually a big no-no. Why? Because tissues and our shirt or anything of the likes are abrasive materials for the lenses. They can collect and trap dirt and dust particles that can cause scratches on the lenses over time. As mentioned above, you wouldn’t want scratches on your lenses, as even the tiniest one is capable of straining your eyes and eventually impairing your vision. In continuation from the point above, you may think the solution is to keep a glasses-friendly microfiber cloth handy in your pocket. 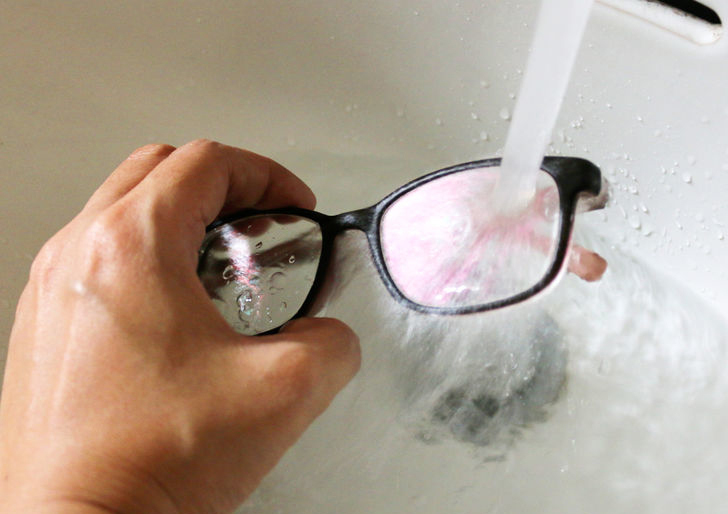 It may seem perfectly OK to clean your glasses with a dry microfiber cloth, but it is actually not advisable as well. You should always clean your glasses with a wet cloth or with some sort of liquid, be it water or a cleaning agent. Why? It is basically the same as what we mentioned above. Dust and dirt particles are everywhere and can land on anywhere, even on your seemingly safe microfiber cloth, and a dry surface further encourage scratches. The solution? A cleaning agent for glasses and a microfiber cloth. Just note that you should apply the cleaning agent onto the cloth then wipe, not directly applying it on your glasses. Yes, treat it the way you would treat your brand new phone. First off, be careful of where you place your glasses. Avoid placing them by the sink or your dressing table, as little residues of hairspray, perfume, or powder can land on the glasses. Also, most glasses nowadays come with some sort of coating, such as anti-reflective coating. Never use anything that contains ammonia, vinegar, and bleach to clean the lenses, as these harsh substances can strip away the coating. In other words, just stick with soap and water if you don’t want to purchase a special cleaning liquid for glasses. 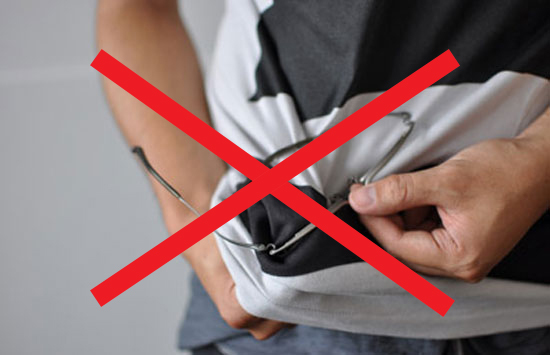 And then, there are those things that everybody knows (but doesn’t always do): don’t place your glasses on their lenses, put your glasses in a hard case while travelling, don’t expose your glasses to heat, and take your glasses off with two hands. 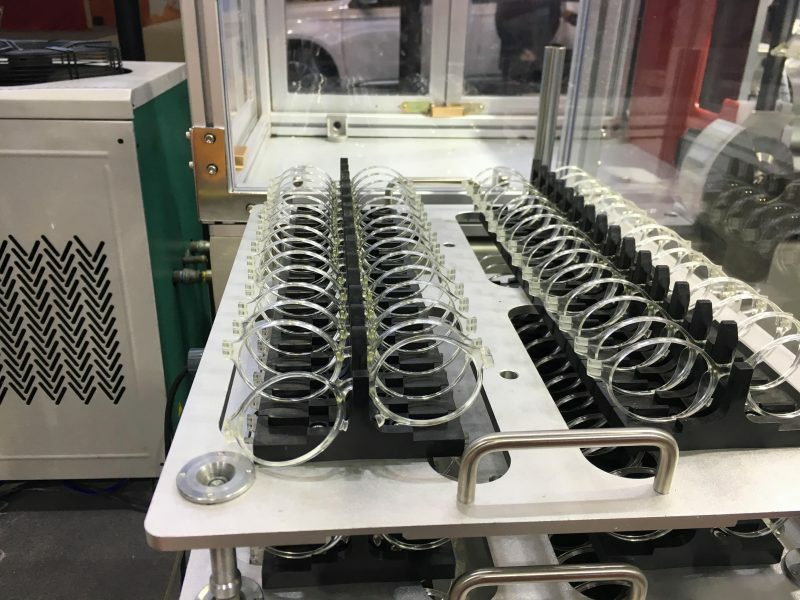 An ultrasonic cleaner can thoroughly and effectively clean the entire glasses. Treat your glasses to a deep clean session once every six months, and they will come out good as new. 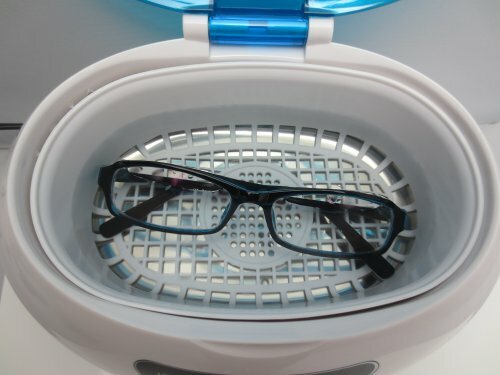 Most opticians will have an ultrasonic cleaning device and will gladly offer the cleaning service for free. The process only takes a few minutes so don’t put it off any longer! Although glasses are not meant to last forever, but with the right care its usability can be greatly extended, and this will definitely save you a lot of time and money. Hope that you now know how to take care of glasses. You can also learn on how to get rid of green dirt on nose pad. So keep your glasses clean people, don’t let that smudge or scratch hinder the beauty of the world that you are seeing.